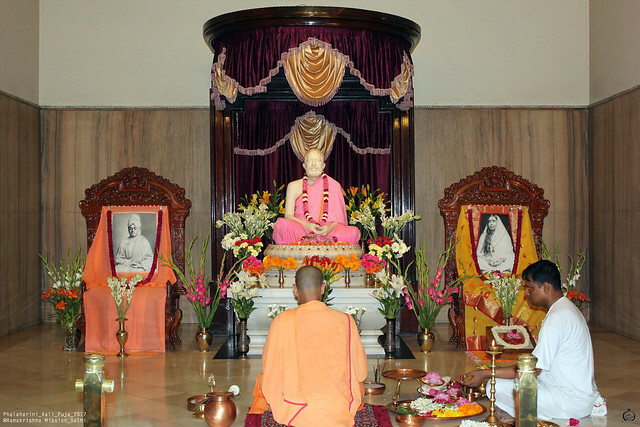 Phalaharini Kali Puja was performed in the Temple of Bhagawan Sri Ramakrishna on Thursday, the 25th May 2017 at New Delhi. This day is very significant in the sense that Kali Ma is worshipped as “Karma phala harini”. 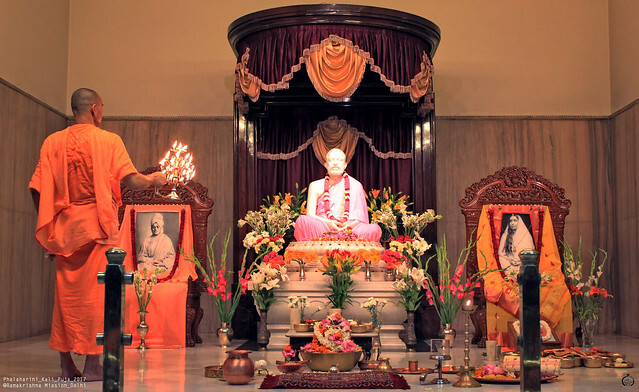 On this day in the 19th century, i.e., on 25th May 1873, Sri Ramakrishna performed Shodasi Puja during which he invoked Mother Shodasi in the person of Holy Mother Sri Sarada Devi and surrendered all the fruits of his sadhana at her feet. During this puja, no image or photo of Mother Kali is kept in the sanctum sanctorum. 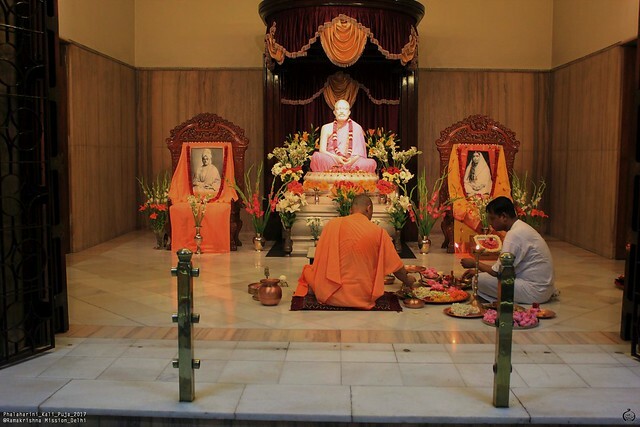 After the evening arati, the Phalaharini Kali Puja began and Revered Amritapurnanandaji Maharaj assisted by a few volunteers of the Ashram performed the puja. 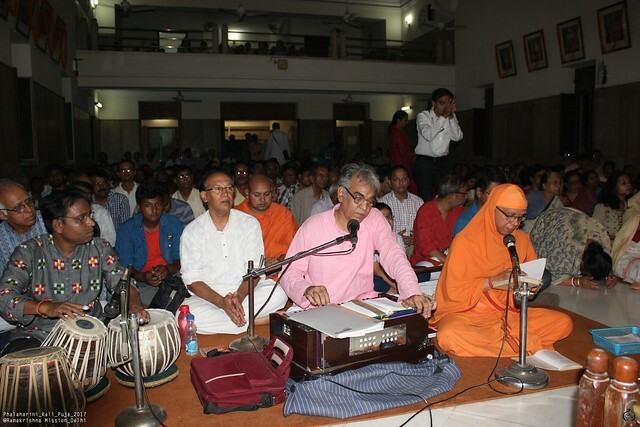 During the puja, devotional songs were rendered by Revered Secretary Maharaj, Revered Swami Niriharanandaji, Shri Chandra Nath Mukherjee, and Shri Champak Chatterjee, all accompanied by Shri Siddharth Bhattacharya on tabla. 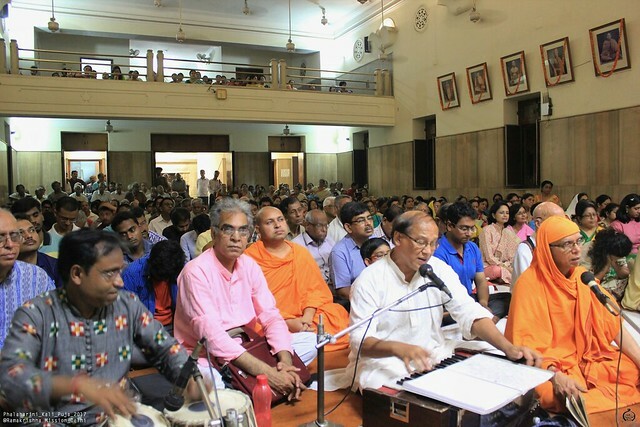 Some of the songs were sung in chorus led by Revered Secretary Maharaj and Shri Champak Chatterjee. 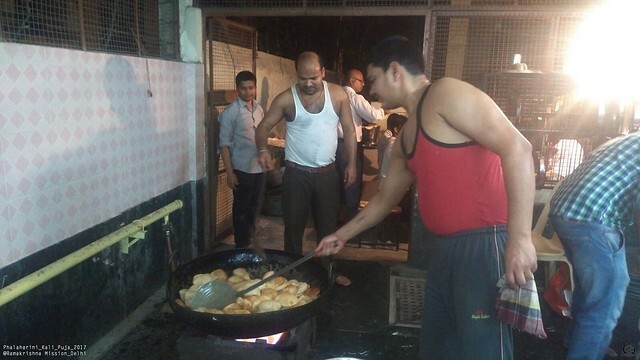 When the arati was over all the devotees left the Temple after offering pranams to Sri Sri Thakur, Ma and Swamiji and were served cooked prasad.